Based on temperature alone it really seemed a no brainer, that decision of ours eight days ago, to head to Hawaii sooner than our planned mid-January departure. 2017 began at our Seattle area home with daytime temperatures in the low 30F’s (-1C) and nighttime’s dropped to 20’s (-6.6C) and below. Snow had dusted our lawn and blanketed other surrounding areas. In Hawaii day time temperatures were 79F (26C) and nighttime 67F (19C). A no brainer for sure. But we were already booked to depart in mid-January for our timeshare life on Hawaii’s island of O’ahu and weren’t sure that a last-minute change of airline tickets and finding a reasonably priced accommodation on short notice was in the realm of possibility. We put our spur-of-the-moment idea into action by checking the rental sites that specialize in timeshare and interval-home rentals. Our reasoning was that having a kitchen and eating at home would save both money and calories. Our go-to sites include Redweek.com and TUG.com (timeshare users group). While both sites offered plenty of ‘short-notice’ choices, the prices were somewhat inflated to our way of thinking, which might have been why they were still available only a week before the rental period would start. Of course, we are talking January, the highest of high seasons – when many, like us, are desperate to leave the cold behind - so we expanded our search to include hotels. 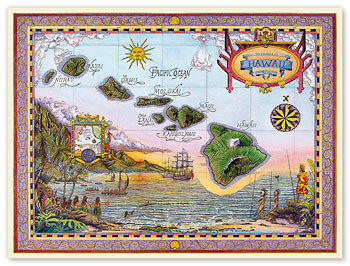 The destination didn’t matter, we were open to staying on any of Hawaii’s eight major islands. Our search took us to our favorite booking sites including Kayak.com, Hotwire.com and Orbitz.com. In each case accommodations could be had, but when coupled with the potential airline change fee, a week’s rental car and a possible inter-island flight, we’d just about given up when a TripAdvisor reviewer mentioned traveling there via a Costco Travel Package. . .hmmmm, hadn’t thought to check there . . .
Costco, for those who aren’t familiar with the name, is a big-box, big-quantity warehouse-type store, that got its start in our town, Kirkland, Washington, several decades ago. There are now 674 Costco stores world-wide including those in Canada, Australia, Mexico, United Kingdom, Taiwan, South Korea and Japan. It is a membership store that we’ve belonged to for many years. In addition to large quantity supplies and food, we’ve found some of the best prices for rental cars are on its on-line travel site and we check there routinely before booking cars. (By booking through Costco the second driver - me! - is always free. That isn’t always the case when booking directly with the car company.) Thinking back, a couple years ago we booked a Hawaiian get-away package for a hotel that had provided us a few nights of fun in Waikiki. Why hadn’t we thought of it earlier?! Once again, Costco came through with a six-night getaway package on Kaua’i, nicknamed The Garden Island for its lush foliage that carpets its hillsides and valleys. The package includes: six nights in a standard room at the Marriott Courtyard Coconut Beach, near Kapaa, an Alamo full-size rental car, buffet breakfasts for two, and a $50 gift card to Costco. The hotel’s daily $20 fee is extra. So was it a real savings? Yes! To the tune of $800, as a matter of fact. We compared the prices of renting the hotel either from one of the sites mentioned above or from Marriott, the cost of renting the car (through Costco) and of paying for the breakfast separately. Our cost would have been $1,986 but instead paid the package price of $1,194. The buffet breakfasts alone cost $23 per person and that would have amounted to $276. The inter-island flights will cost about $200, which we reason, we’d have easily spent going out for dinner and wine a couple of times here in the frigid Northwest. So here we are in Kauai where the morning temperature is 66F at 6 a.m. The Weather Channel tells us it is 35F and snowing back in Kirkland. We standing on our deck barefoot wearing tee shirts and shorts, toasting the new day with a cup of Starbucks, awaiting sunrise. Yes, that spur of the moment idea was a no brainer - and a good one at that! When we began the blog one of our purposes was to share tips about travel deals – and sources for travel deals – with our friends. I want to assure you we don’t get any kick-backs or deals from the companies we recommend, including those mentioned in this post. It was just such a good deal – and such an easily missed one – that we wanted to tell you about it. It also is a reminder to ourselves to think outside the usual box when we come up with one of these last-minute travel ideas. Well be back next week and hope to see you here as well. Until then, Ahh-Low-HA! as we say in Hawaii! Far out! I'd never thought to look at Costco, and I am a member. But I will now. Lucky folks to be somewhere warm. Enjoy! Most happy to be away from the Pacific Northwest weather right now! And yes, I am singing Costco's praises far and wide. At our buffet breakfast today I chatted with the waitress and she said there are quite a few 'Costco package' guests staying here right now. Thanks for the Costco tip, we are long time members and I forget about the variety of services they have available. Didn't even know about the rental cars. It's about 35 degrees and starting to snow here in Portland. The forecast for tomorrow morning is a 2-3 inch accumulation. Jerry, thanks for taking time to comment. So far, the package benefits have worked just as promised and we are pleased we had our memory jogged and checked out Costco. I've seen photos of your snowfall in Portland - yikes! - stay safe! Hope to see you back here commenting often! Wow, this is very informative. Thanks for the tips.. Enjoy! Glad you found them useful! Hope to see you back here often - thanks for taking the time to comment! You are in sunny Hawaii, nice!! I am thinking moving your trip up was meant to be. I had no idea about Costco and rentals and travel packages. I was just thinking of letting my membership expire because our nearest Costco is 5 hours away. Hmmmm, now I think I'll keep it. Thanks for the tips. I am going to bookmark this post. Thanks Felicia, glad you enjoyed the photos! That is a good story. They don't have Cosco in the part of Australia that we live in. I have visited one in Canada, but I didn't know about the travel part of them. I wonder if they have that in Australia too. I sometimes pick up ideas when reading on-line reviews. Luckily you spotted the Cosco reminder. You're right - it was a no-brainer! Yes, and the amazing thing was the number of guests at the hotel that had booked through Costco. I thought we'd made a major discovery and I think every other group was there having booked through Costco. Alamo in Honolulu told us most of their car rentals come from Costco. Yes, the best kind of 'packages' are independent travel kinds like Costco. We put in our dates of travel and they came up with a package to fit our needs. Your Pleasant Hawaiian Holidays package was indeed a deal! It was a beautiful few days on the Garden Island, that's for sure! Even thinking "outside of the box" it never would have occurred to me to think of the original "big box"store, Costco, as a place to score a vacation bargain. And what a great deal! We visited Kaua'i over a decade ago but I still remember its tranquility and amazing beauty. Snow or sun? A no-brainer for sure, Jackie! Yes, we patted ourselves on the back several times for grabbing a few extra days of sand and sun instead of below freezing temperatures! Excellent. From the title I thought you were going to talk about visiting Costco in Hawaii, which I have done! Ha. I have not booked any vacation packages through Costco travel but I shall remember to look at them for future trips. Wow! I didn't know that about Costco!! I'll have to check it out here in Canada. I envy you SO much for travelling to Hawaii now. Janice, thanks so much for sharing this post on FB. I appreciate it!! I've been hearing Costco come up a lot lately for travel. Sounds like there's good savings to be had. We frequent our Costco for big savings on high quality food (they have a lot more organic and all natural products than they ever did), gas and prescription drugs. We'll definitely check them out next time for travel. Loved the fun fact that Costco was started in your home town of Kirkland. Explains why they use that as their house brand name. Great post! Thanks much Sue. Glad you enjoyed the post. We also shop Costco almost exclusively these days for gas and prescriptions as well as many food items. They may be 'big box' but they are great! This was a good reminder about those Costco vacation deals. I know people that always shop at Costco when they visit Hawaii and get some great stuff, but I don't know anyone who has signed up for one of their Hawaii vacation offerings. Thanks for the report. Yes, we've just made our first trip to Costco at Kapolei and probably not our last while we are on O'ahu. As I mentioned above while we thought we'd made this great discovery nearly everyone we encountered at breakfast were on 'that Costco deal'. Alamo in Honolulu told us most of their rentals come from Costco. I will need to keep it in mind for more than gasoline and groceries! Kauai is our favorite family vacation spot. We have done Christmas in Kauai several times. We stayed in Kapaa the first time we visited Kauai, but now our go to spot is Princeville. We would love to stay in Hanalei, but have not had luck finding a house (we do VRBO) for 6 in town. I'm late reading this so I imagine you are home and hope you had a fabulous time in one of the most beautiful spots on earth. Not quite home yet - we are 'timeshare people' so have moved to the island of O'ahu and will be at our KoOlina home for the next month. Just added a bit of Kauai to the front end of our stay. We, too, love the Princeville/Hanalei area of the island! I've booked car rentals through Costco, but I've never done a full package. I obviously need to start looking at it more. (Bonus: I'm on my parent's membership, so I don't pay the membership fee). That photo of the water droplets on the hibiscus is wonderful. I'm sure you're glad you've escaped the winter weather in the PNW. I had no idea Costco sold vacation packages. I'll have to look into that. We do know that the best Costco on the planet is on Maui. We love that they sell local fish and fresh sushi platters!